Categorizing your products is the most convenient way for your customers to browse through the products you offer on your oline Store. In the next few lines of this tutorial we will show you how exactly you should create and manage the categories of products on your Online Store. WooCommerce provides an easy to use Categories management page so you can easily manage all the categories on your website. 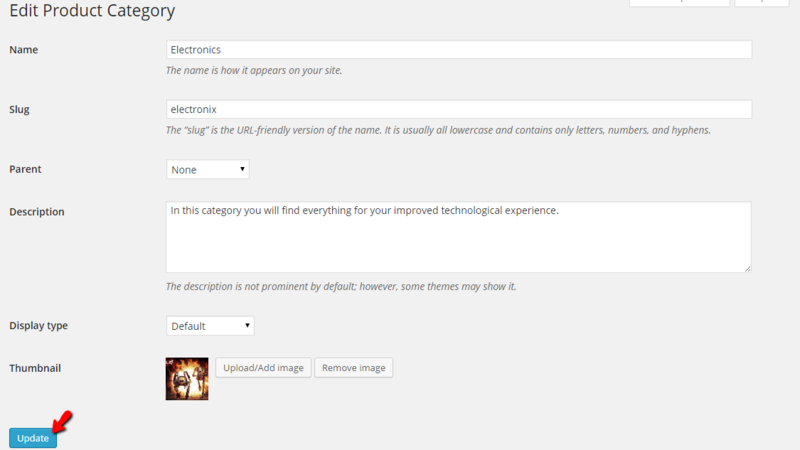 This can be easily accessed if you login in your Wordpress admin area and navigate to Products > Categories. Once you are done with these configurations please click on the Add New Product Category button so the category can be created. Now that you know how to create a category lest learn how to actually edit and delete such. 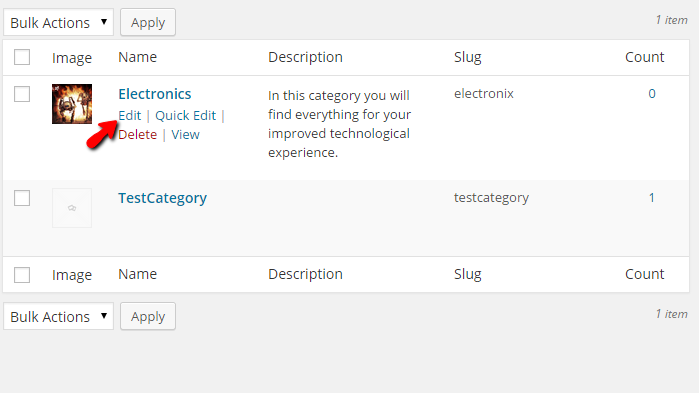 As we have mentioned the Categories management page is separated on two sections vertically. 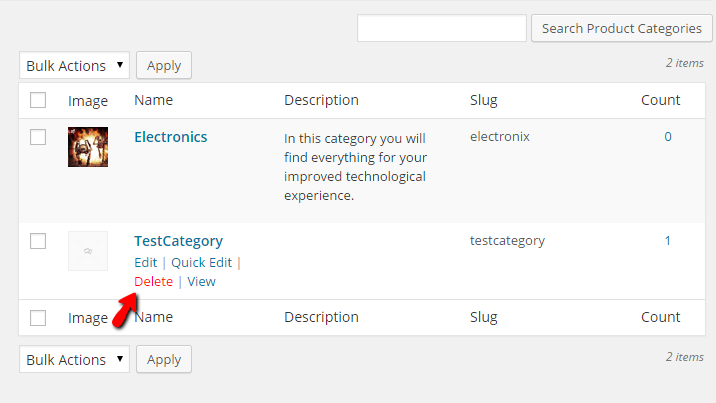 In the right section you will find a table view presenting the already created product categories. First let's review the editing process. In order to edit a category you will need to hover on any category you would like to edit and then to click on the Edit link. This will redirect you to a page where you will be able to find basically the same fields as those you have used when you were creating the category, however this time those will be filled with the information for the category. Please edit the values based on your needs and then click on the Update button located at the bottom of the page. 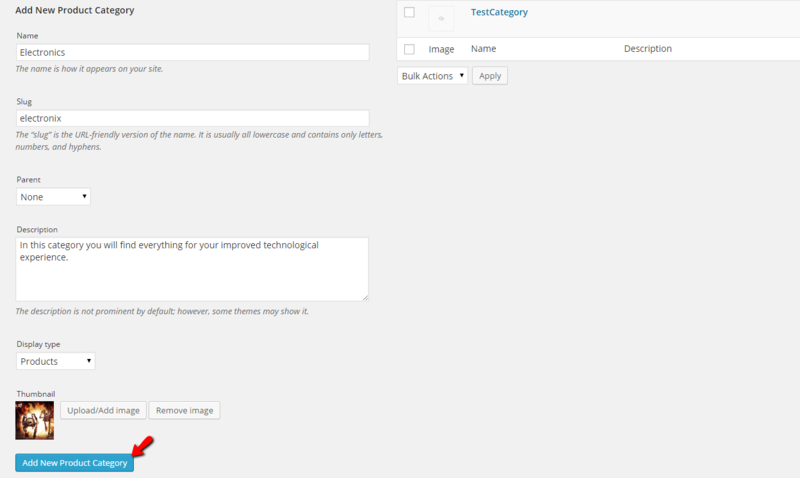 This action will save the edits and it will direct you back to the categories management page. Deleting a category is also an easy task. In order to achieve it you will need to hover over the existing category you would like to delete and to click on the Delete link colored in red. This will prompt a confirmation window where you will be able to confirm the deletion and after a second the category will be deleted. Congratulations! 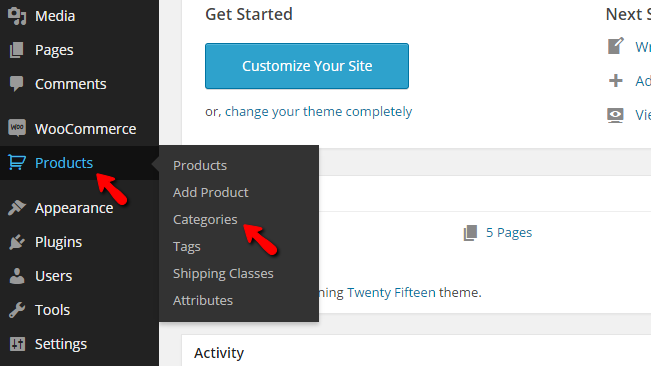 You now know how to fully manage the Categories on your WooCommerce based Online Store!